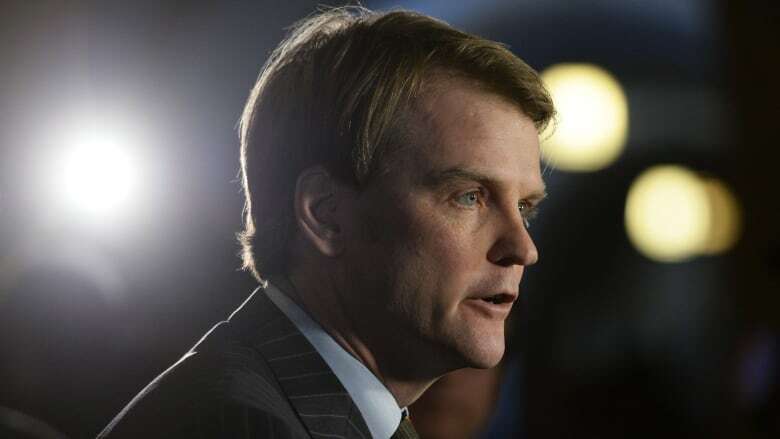 Immigration Minister Chris Alexander has announced much-anticipated reforms to the live-in caregiver program, making it optional for caregivers to live with their employers and putting a cap on the number of caregivers it will accept under two new categories. The live-in caregiver program, as it was known until today, was excluded from reforms to the Temporary Foreign Worker Program announced by the government in June, but the government said an overhaul to the caregiver program was coming this fall. Foreign caregivers are eligible to apply for permanent residency after two years of work in Canada, but it can take more than three years to process their applications. "I'm pleased to announce reforms that will improve the lives of caregivers seeking to make Canada their permanent home," Alexander said during a news conference in Toronto on Friday. Making it optional for caregivers to live with their employers. Creating two new categories whereby caregivers can seek permanent residency. Putting a cap of 2,750 applications per year under each of the new categories starting in 2015. Reducing a backlog of 60,000 applications for permanent residence. Ending the mandatory live-in requirement and putting a cap on the number of caregiver applications are two of several ideas floated by Alexander during consultation meetings with various stakeholders this summer. Alexander said he heard complaints from caregivers who said the live-in requirement felt like "modern-day slavery" to them. "They told me they felt they couldn't complain and that they weren't paid overtime. Imagine being forced to sleep where you work and having your wages garnished for room and board. "We're putting an end to that. We're providing caregivers with a choice," Alexander said. Starting Nov. 30, the government will launch the two new categories for caregivers to work in Canada. One pathway will be for child-care providers. The second will be for caregivers who take care of the elderly or those with high medical needs. To avoid a growing backlog, the government will accept no more than 2,750 caregivers in each of the new categories, for a total of 5,500 new applications per year starting in 2015. Spouses and dependants will not be counted against the cap. Caregivers will still have to work full time for two years before being eligible to apply for the new categories. Applications will be processed within six months, Alexander said. Employers wishing to hire nannies or caregivers under the new categories will still have to fill out a Labour Market Impact Assessment (LMIA) to prove they could not find a Canadian worker to fill the job. As CBC News reported last week, the number of individuals waiting for permanent resident status under this program has ballooned to more than 60,000. Today, Alexander confirmed the backlog and laid out his plan to bring it down to zero within the next two years. "The backlog today is about 60,000. Without these changes it would continue to grow." Alexander said the government is already on track to eliminate 17,500 applications by the end of 2014 and will eliminate the backlog further by processing 30,000 applications in 2015. "We have the firm intention, if we get the chance, to process that many again in 2016. That will bring a backlog of 60,000 down to zero in only two years." He said the government could achieve these goals using "current resources." Groups representing caregivers have been calling on the government to give nannies and caregivers permanent residency from the moment they arrive in Canada. NDP immigration critic Lysane Blanchette-Lamothe said today's reforms do not change the fact that caregivers will still have to wait two years before being eligible for permanent residency. She was also critical of the cap on the new categories, saying the limit will mean that "caregivers will have to win the lottery for an application space every year." Blanchette-Lamothe welcomed the new rule making it optional for caregivers to live with their employers because it was something the NDP had long called for. John McCallum, the Liberal party's immigration critic, was skeptical of the government's plan to tackle the backlog. In a written statement to CBC News, McCallum said previous reforms "were widely lauded when launched, but as it turned out they’ve created even more problems." The Liberal critic said he would consult with stakeholders before coming to any "firm conclusions." Alexander outlined the government's immigration goals for 2015 as laid out in its annual report to Parliament on immigration. He said the Canadian government will welcome anywhere from 260,000 to 285,000 new permanent residents in 2015. The report was tabled in the House of Commons at around the same time that Alexander was in Toronto announcing his reforms to the foreign caregiver program.